Since the 90s, the tailor shop cove&co stands for high-quality, made-to-measure products, qualified style advice, and handcrafted quality. 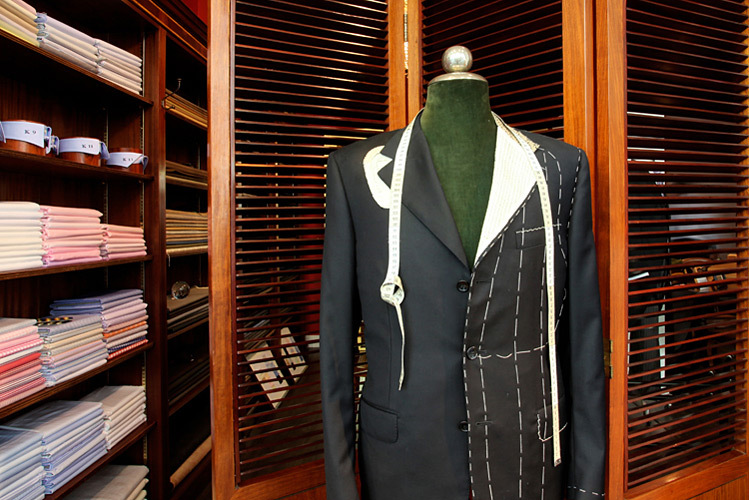 It is our aspiration to tailor the perfect suit for you; one that suits your expectations and fits you perfectly. Therefore, we see our custom-made production as a process that consists of multiple steps: We take measurements, discuss your personal desired fit, and make an exclusive fabric selection. On two further appointments, first an initial fitting will take place and then a final fitting. The right appearance is an important part of custom-made production: along with the tailor-made original, here at cove&co we also offer welted footwear. 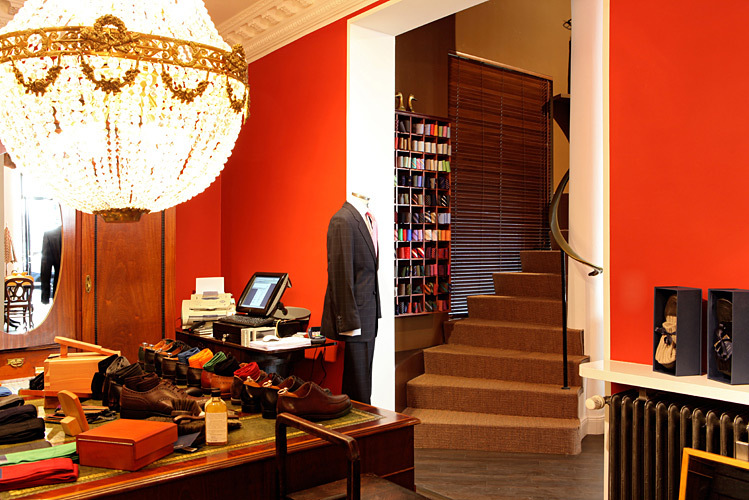 Clients of cove&co in Hamburg will find those well-known, hard-to-find shoes: Oxford and Derby, Norwegians and Penny Loafers, shell cordovan or boxcalf; but always from the large shoe manufacturers of the world. 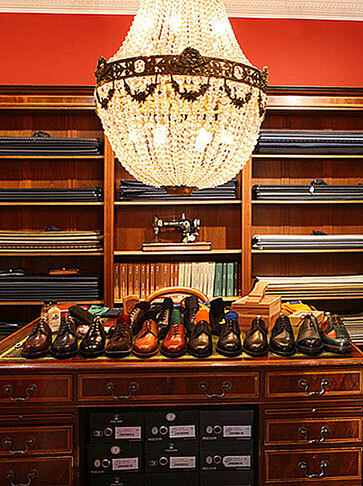 At cove&co these include Alden, Allen, Edmonds, Heinrich Dinkelacker, Church's, Bocassini, Szabó István, and more. The shop also offers an excellent selection of stylish accessories to browse through: suspenders, tweed hats, cufflinks, handmade umbrellas, perfumes, and much more from big names such as Herbert Johnson, Knize, Francesco Maglia, or Penhaligon's. 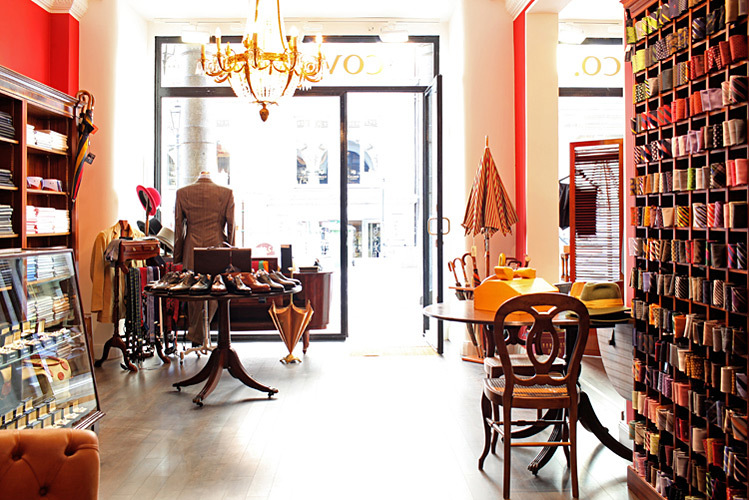 cove&co offers tailor-made suits from EUR 599, and tailored shirts from EUR 119. 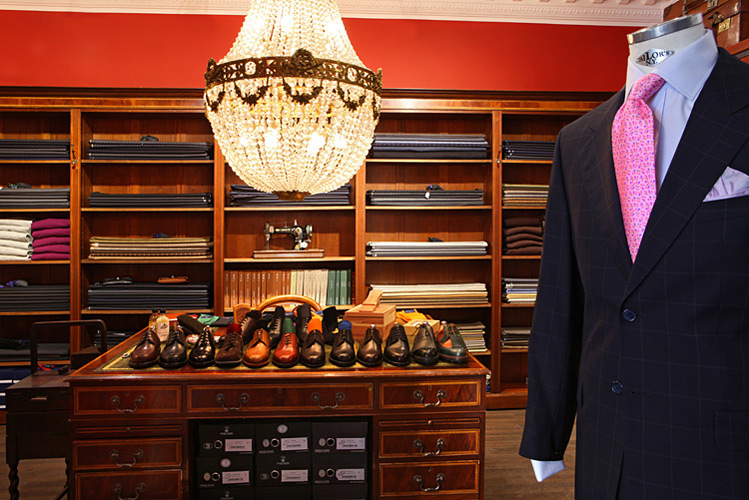 Package offers including two tailored suits and two tailored shirts are available from EUR 1,198. Custom-made products for women are also possible. Welted shoes can be found from EUR 199.